I used to be the person who was fearful of quiet time and being alone with my thoughts - I would leave before the ‘relaxation’ at the end of a yoga class because I thought I had to clear my mind and the prospect stressed me out. My meditation journey really began when I joined a yoga class around 6 years ago and the teacher taught me to focus on my breath. I was a very anxious person and so my breathing was short and erratic - she taught me a way to focus on the breath without me over-dwelling on it, and therefore the relaxation periods were easier to endure. I didn’t introduce my own meditative practice into my life until I began to have the courage to walk for long periods on my own. I would take time to notice, contemplate and focus on the sounds around me, my breath and my footsteps. I didn’t even realise I was entering a meditative state but this space allowed me to pay attention to the moment I was in instead of the whir of activity in my busy life. I discovered that during these walks, or after, I would have immense clarity and would often feel at my most creative, I would return to my work in a completely different state with renewed and replenished energy. I began to enjoy Savasana at the end of a yoga class for the time it gave me to reflect and then I listened to a podcast by David Ji who talked about the power of 16 seconds. Breathing in for four, holding for four, breathing out for four, holding for four. He explained that if you could do just 16 seconds - you would feel benefits, then gradually you could add more and more rounds of breath. It simplified meditation enough for me to have the confidence to start dabbling with guided meditations. Suddenly it didn’t feel like this ‘far out’ practice that was not available to me. When I did my yoga teacher training in 2016 I had my first taste of ‘holding space’ for others during a meditation when we were asked to spontaneously lead a small group meditation for our fellow students. Far from perfect in terms of the ‘on the spot’ script - I was absolutely blown away by the magic of being able to create a space for people to close their eyes and go on a gentle journey to relax and replenish themselves. I knew then that meditation was something I wanted to explore deeper for myself and then to help others. I can honestly say that meditation has given me more than anything I could ever have imagined, it is a true gift and so in 2017 I trained with The British School of Meditation to become a certified meditation teacher, in order to introduce some of these techniques to others. Click here to read more about the science behind meditation. Meditation for me, is about creating space. 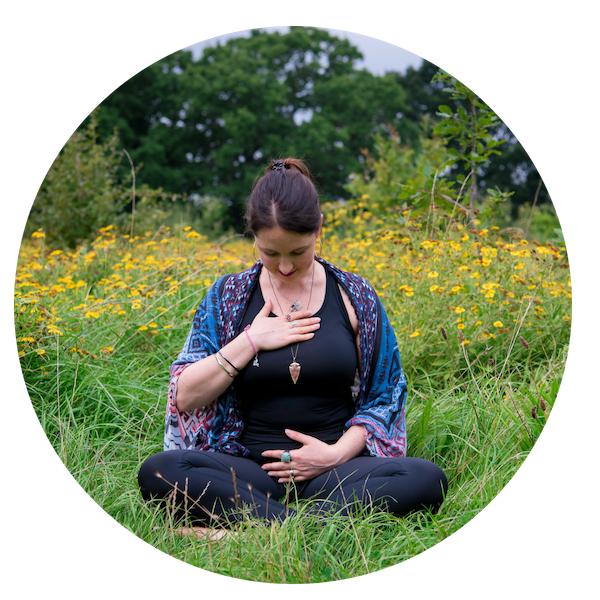 Creating the space physically in our schedules to prioritise ourselves by committing to a practice and creating space in what is often a busy and overstimulated mind to come back to our natural relaxed state. It gives us a window of time to let go of the ‘shoulds’ that make up a lot of our days - and connects us with our breath, our body and the present moment. By putting our attention on a single pointed focus, such as the breath, a count, or a mantra, this practice constantly brings us back to the NOW. It is a chance to listen, to learn more about ourselves and to connect deeper to our intuition or inner guidance. For me it has been a catalyst for transformation and has helped me heal my physical body as well as my emotions. Meditation is not a process in which you have to empty your mind or become void of all thoughts and you cannot be a ‘bad’ meditator. Just like any other skill, it takes practice and persistence, and some days it feels horribly uncomfortable, while others it can feel like bliss. Click the button below to find out more about my meditation guidance.